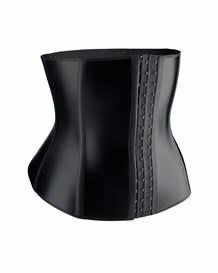 This waist cincher was made for you! 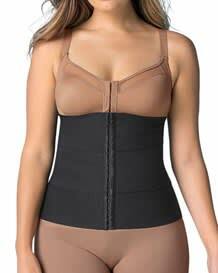 It has 3 adjustable bands that allow you to customize the compression levels for your ideal shape. It also has side and back boning to hold everything in place. Latex-free. Fabric content: 68% elastane, 32% polyamide.